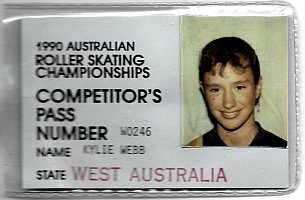 Kylie Webb has passed us some items from her skating past. 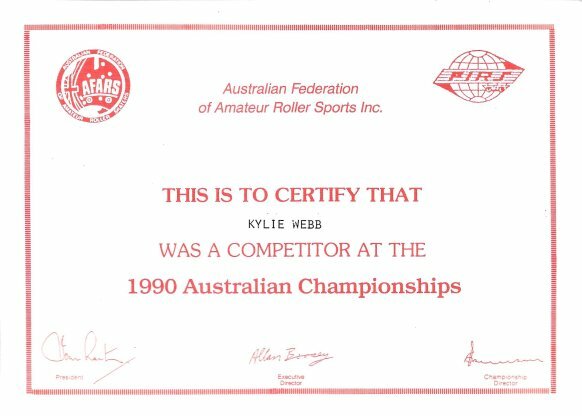 They'll be of interest to anyone, not just her students. 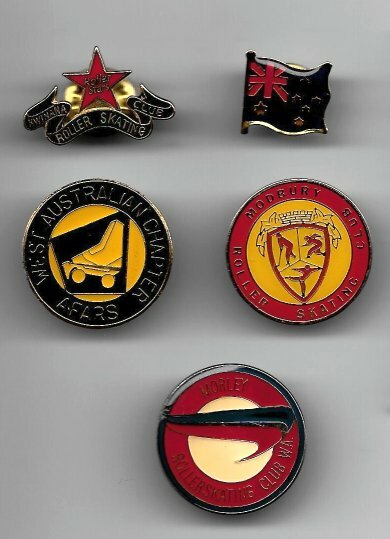 She also received an Australian flag brooch button - along with it in the image here are a star class badge from the old Kwinana rink, a WA badge - AFARS was the name before RSA (Roller Sports Australia) and Skate Australia - one from Modbury in South Australia, and one from Morley.